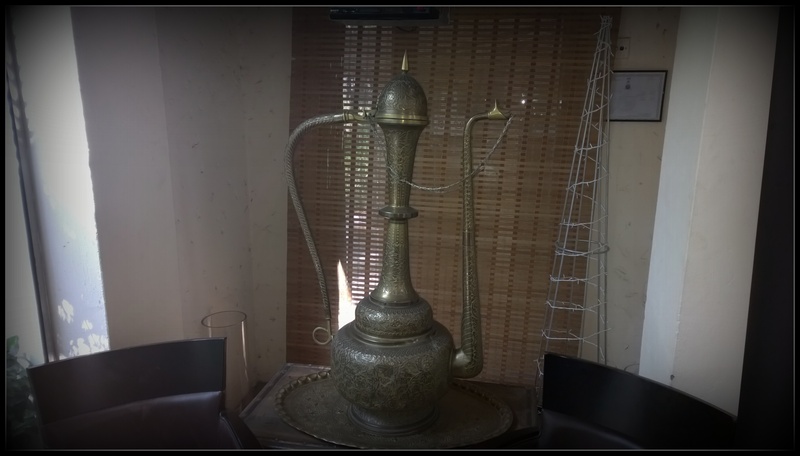 Does it remind you of Alladin’s lamp? In Arabic, Kargeen refers to a quaint wooden cottage. 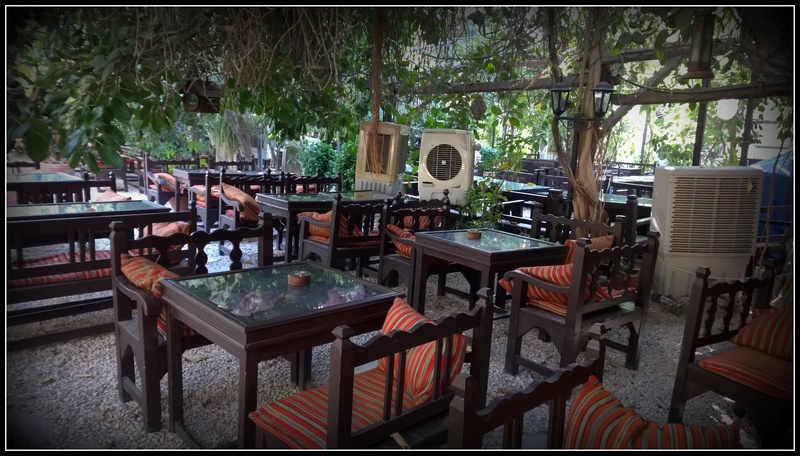 First established in 1997 in the posh locality of Madinat Al Sultan Qaboos, Kargeen Cafe has come a long way with many more outlets having sprung up around Muscat in the years hence. 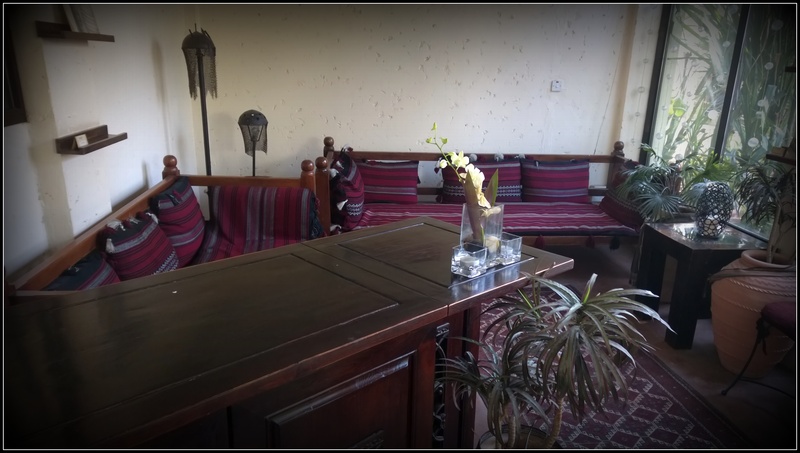 The sitting area at the reception..
It’s wooden furniture, the ethnic decor and the lovely rugs give it a truly traditional feel. 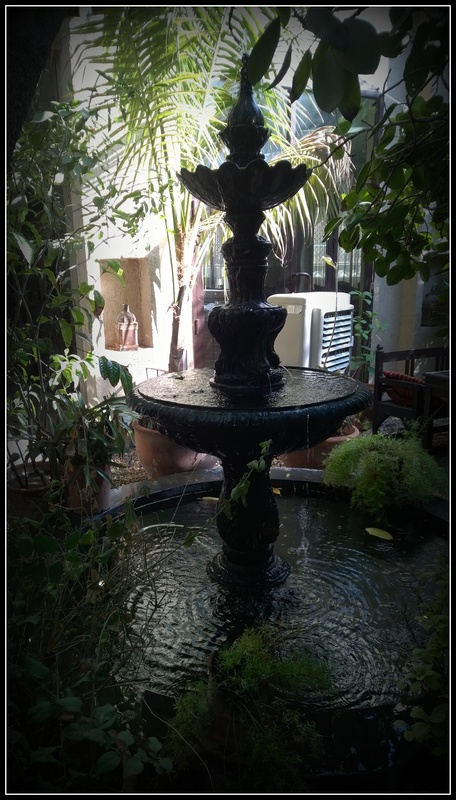 After reaching our hotel – Radisson Blu in Al Khuwair, we freshened up and set out for the first Arabic experience of our trip. Kargeen is hidden behind a few trees and this peaceful location is what takes the experience up by several notches. 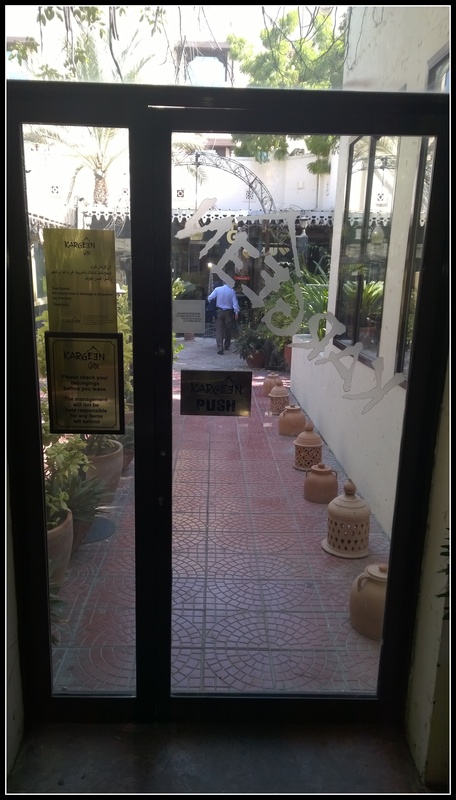 The entrance to a lovely Arabian experience.. The lunch was lined up as a buffet and I must say this is one of the best Arabic food experiences I have ever had. Falafel, Shawarma, Sheesh Tawook, Khubz, numerous salads, Chicken Biryani, different kinds of Hummus and I can go on and on. And to top it off, the refreshing mint drink. Moreover, as we were tired from the early morning flights, this was the perfect energizer and a precursor to the exciting trip that awaited us. And finally, after a lip smacking lunch and some interesting conversations with the other bloggers (Manjulika, Mithun) and our tour guide who joined us, we got up to leave. The traditional seating area in the garden replete with coolers.. Linking to NaBloPoMo (National Blog Post Month – August – My post no 11 for this month. Surely, it was lovely Divyakshi. As they say, ‘finger licking good’.